Exams are an inevitable factor in student life. Nearly everyone will have to sit exams at some stage and very few of us can get through them without the stress levels getting quite high. With the right preparation exams can be manageable allowing you to show how much you have learned which is what exams are all about. Making a study planner is a handy way to stay on track leading up to exams time. Write down all the things you need to do each day of the week and how long you need for each, including time for sleep, relaxation and exercise. Find out the date of each exam and work out a study timetable leading up to them. This can give you some direction and help you focus on what to study each week or day. Below are some useful tips and advice leading up to the exam period. It’s so important to make study easy. Here are some study tips that helped us. Space – Arrange your study space to ensure that it’s warm, quiet and comfortable. Plan – Make a study plan. Ensure it is straightforward, includes all of your subjects or modules and is realistic in terms of how much you can cover each day. Try to stick to the plan. If you have a lapse (we all fall into those four hour coffee breaks), don’t stress out, just go back to it again. Past Exam Papers – Practice exam questions. Past papers should be available online or from your lecturer. They can be a useful insight into what your exam will be like and also provide a guide for what you know and the areas where you need help. Notes – Make clear notes when you’re studying. Next time you study that subject, you can revise your notes. Avoid procrastination – This is when you do everything else but the task you need to do. It’s normal to procrastinate a little. However, too much can just add to your stress and result in you not giving yourself enough time to prepare. Managing your time and setting realistic goals for each study session can be helpful ways to avoid procrastinating and make tasks seem less overwhelming. Breaks – Take breaks and give yourself rewards for time spent studying. Sleep – Make sure you get enough sleep. You won’t perform well in an exam if you are sleep deprived. Ask for help – 3 people to talk to; Your lecturer, Classmates, Your Students’ Union. Your lecturer can help if you’re having trouble developing a study routine or need help with particular topics, don’t be afraid to ask. Try out study groups with your classmates, it might help you understand topics better and your Students’ Union are always there to support you and give advice when needed. Exam Kit – Get your exam kit ready ensuring you have everything you may need plus spares (pens, calculator, ruler), a bottle of water, watch, tissues, sweets, fruit etc. Exam Centre Location – Familiarise yourself with the location of each exam, check for parking and public transport timetables. Practice – Practice previous exam papers to ensure you can answer everything within the time allocated. Flashcards – Prepare simple flash cards for last minute revision with key facts and figures. Exam Regulations – Read the exam regulations and contact the SU or exams office if anything is unclear to you. Plagiarism – Read your college plagiarism policy and ensure you do not break it. Learning off essay answers and rewriting them may lead to unintended plagiarism, resulting in serious penalties. Find out about the exam – find out what format the exam will take – are the questions in essay, short answer or multiple-choice format? Is the exam open book or closed book? Knowing how the exam is marked and what proportion of your total mark it’s worth might also be helpful. 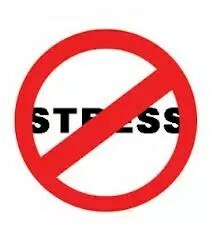 Remember that some stress is normal, but minimise stress by putting in the study all year, not just at exam time. Do daily and weekly reviews of study and exam material. Eat Well: Food rich in vitamins and proteins, such as green leafy vegetables and fresh fruits, are a must. The nutrients will help your brain stay sharp. Your brain needs healthy sustaining fuel to get through this busy time. Also, try to get some form of exercise. Even a 10 minute walk will leave you calmer and more focused. Practice relaxation techniques – Practice deep breathing, meditation and yoga as forms of relaxation. They help your body relax and reduce stress. Alternately, take a brisk walk in fresh air after your day’s revision is over. Don’t leave yourself without time to study – If it’s too late for that and you’re cramming, then listen to your body and rest when you need to. Otherwise you’re risking burn out. Fuel Up – Make sure you get a breakfast if you have a morning exam, you will be able to concentrate more, don’t forget to bring in a bottle of water with you. Checklist – Follow your checklist ensuring you have everything you need to bring to the exam including ID cards and writing materials. Time – Set out a timetable for the exam. Allow time at the start to read the questions, choose if their are options and plan your answer. Set a strict time limit per question and keep to it even if you do not get all your points covered for a given question. Leave time at the end to review your answers and complete any unfinished answers. Read the Questions – Read every question twice before you plan your answer, underlining the key words such as compare, contrast, describe and explain. Don’t panic – You have done as much as you can so deep breaths and concentrate. If you are struggling with your nerves try some chamomile tea or rescue remedy. Read Answers – Once you hand up your paper you cannot change it so reread your answers and double checks any figures or statistics. Take a break – Sometimes the pressure of the exam hall can be too much. Take a two minute break, ask to use the restroom or go outside, take a deep breathe and return to the hall to start again. Make sure you have answered what you were asked – The front of the exam paper should detail how many questions you need to answer. Double check you have answered all the parts you needed to and that you answered what was asked ie. to compare two topics or contrast two topics. What if I can’t sit my exam? Firstly contact your department or college exams office to let them know even if it is the day of the exam. If you are unwell ensure you get medical attention, request and keep medical notes and prepare for your next exam if possible. If a family member or friend is seriously unwell or has passed away keep any documentation and get in touch with your Welfare officer for support and advice. If you are unsure about anything contact your SU. What if I can’t complete the exam? If you become unwell during the exam let one of the exam supervisors know ASAP. They will ensure you get the necessary attention and follow the protocol required. If you become panicked or stressed during the exam take a break- ask to us the restroom or step outside for a moment to catch your breathe. When you come back to the exam create a brief plan of how you will manage the rest of the time available to you. This will help you focus and make the most out of your remaining time. If you don’t understand a question, reference or title most colleges require lecturers to call into the exam hall, ask them. If you are unsure about anything or have an issue to do with the exam contact your SU. What if I fail my exam? Firstly don’t panic, you are not the first and certainly not the last person to not pass an exam. Contact your lecturer or department about viewing your exam script, getting feedback on your paper and sitting repeats. If you wish to appeal your results contact your SU for guidance on the Appeals Procedure. As you cannot always control the conditions you sit your exams under it is important you are prepared for the possibility of resits by keeping organised notes. Not doing as well as you expected or hoped in your exams can be really tough. It can also be tough if you feel you didn’t meet the expectations of others, such as family members or lecturers. It can be especially difficult if you’re disappointed and your friends are celebrating and are happy with their results. Expectations and pressure from yourself, family, teachers and friends may be a positive influence and help to challenge or motivate you to do your best. However, too much pressure to achieve can cause you to burn out. If you find that expectations or pressure about your results are interfering with your day-to-day life, it’s important you talk to someone about it, such as a friend, lecturer, or counsellor. 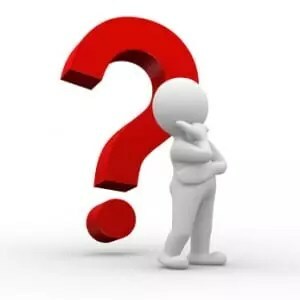 Suggestions – Even though your results may not be what you were expecting or hoping for, it does not mean that your future isn’t still really bright or you won’t be able to achieve great things. Take some time to chill out – Sometimes a change of scenery can be helpful – it’s important to give yourself permission to do this. This might include going for a walk or listening to your favourite music, reading a book, going to the movies – whatever works for you. If you’re feeling overwhelmed, you might find it helpful to talk to a teacher or counsellor. It’s also important to ask for, and accept, support from your family if you can. This support might be practical, like picking you up from the library, or emotional, including advice or help. If you need to talk to someone outside the situation, call Samaritans on 1850 60 90 90 ( anonymous, 24hr help lines) or visit . Your Students’ Union is there to help you; visit their website, call into their office or send them an email or text. If you are nervous, forgot your pens or after missing an exam call into your local Students’ Union for some advice, support and referrals to other support services on campus. SpunOut.ie provides an interactive online community for young people to consume health and lifestyle information and find out about health and advice services available to them in their area, online or over the phone. SpunOut.ie also acts as an online space for young people to share their views and opinions by writing articles for the site or by commenting on pieces written by other young people. SpunOut is an independent, youth led national charity working to empower young people between the ages of 16 and 25 to create personal and social change. Paul Walsh ( Singer with Royseven, student and Think Big Ambassador) shares his experience of sitting exams and gives some tips that gets him through the exam period. Getting into the zone: I find it very difficult to get into the zone, but once I’m there I really enjoy it (oddly) and find it hard to return to ‘civilian’ life. I ease my way into studies, reading a few articles while having some tea or pretending to do something else. Once I have a general grasp on the topic I then want to know more about it and that’s when I get sucked in. Golden Nugget of advice: We all learn differently and this won’t work for all subjects, so you have to tailor your studies accordingly, but this is what I do: * Compartmentalise the process- one topic at a time. * On the basis of what’s been said in the lecture/tutorials and the content of past papers, I decide what I’m going to study- you can’t cover the entire semester, regardless of what they say! * I then read the literature, twice if I don’t understand it the first time, and as I read, I highlight the main points. * Then go through the highlighted text making clear, written notes delineating the topic. * I then reduce those notes by ‘chunking’ and file the information in my head under: Background/Event Itself/Aftermath and overall implications * Once I’ve done this I verbally regurgitate the information like telling a story, only using the notes if I get stuck. Dealing with nerves: The only way around this is to be well prepared. I only get nervous if I feel there’s a gap in my knowledge. I also try to tame my racing mind after taking my seat, which is usually loaded with (short term memory) information. I start taking notes and scribbling down figures and dates I’ve remembered before even looking at the paper, in fear of forgetting them. I remind myself that the examiner wants to reward knowledge so I try to get as much on to the paper as possible, including a few learned quotations and citations to impress them (if possible). First Year Me: Don’t go to college, sing for a band and present a daily tv show at the same time, you fool. We would like to thank Headsup, SpunOut.ie & PleaseTalk.org for their support and input into this.